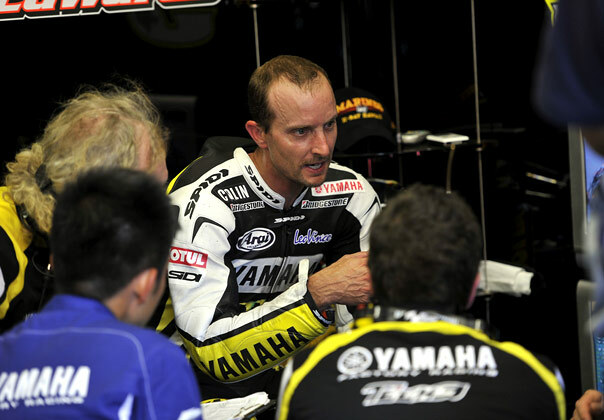 Edwards Interview - race | Yamaha Motor Co., Ltd.
Colin Edwards reviews his MotoGP 2010 season. 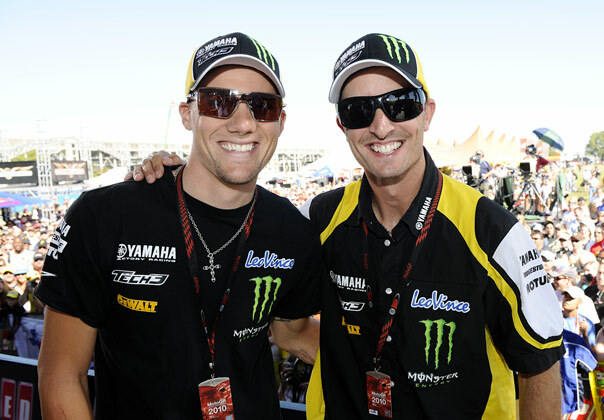 It is fair to say that 2010 has not been my most successful season in MotoGP in terms of results but I would like to think that I did a good job for Yamaha and played my part in an excellent rookie campaign for my good friend Ben Spies. It is rare to have two friends as teammates but it's been a lot of fun, definitely a year to remember. We have shared pretty much everything in terms of machine data. Our bikes are pretty close and if we went to a circuit that was new to Ben we would sit down in the truck on a Thursday or Friday morning and talk about it. We shared everything apart from women! We called the back of the Monster Yamaha Tech 3 truck 'The Peppermint Palace' but I can't tell you too much about what goes on in there. What happens in The Peppermint Palace stays in the Peppermint Palace! One thing I can tell you is that we both often look at each other after a race and say: "I never rode a bike that hard for 45 minutes!" That's become a bit of a joke between us because MotoGP really is so hard. You have to be on the very limit just to be competitive and sometimes it feels like it's impossible to ride any faster than we do - unfortunately there are four 'aliens' who can! There is a bit of a gap back to the rest of us but I would say that Ben is now somewhere in between. He is so good that next year I think we will be talking about five aliens. The other joke we had between us this year was a bet we had at the start of the season that whoever finished behind Marco Simoncelli in a race had to drink a shot of tequila. It wasn't meant as disrespectful to Marco in any way, just an extra light-hearted motivation for the two of us. We squared up in Barcelona but in Valencia we found ourselves behind again, which also shows what a great job Marco did in the second half of the season. I can't tell you who was the most drunk but you can work out for yourself who had the most tequila! 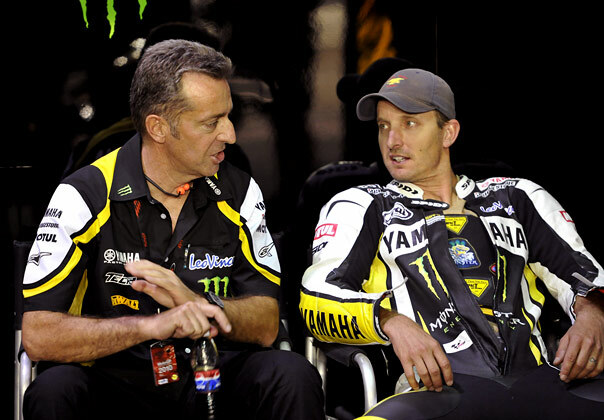 Next year I will have a new teammate in Cal Crutchlow and I have already started giving him some advice. For example, I told him I like my coffee white and sweet! 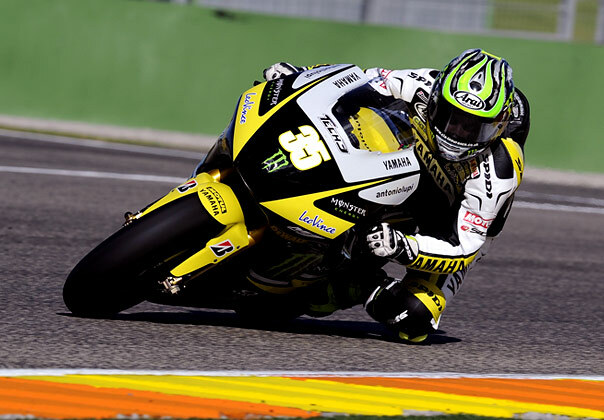 Seriously though these guys are fast, that is the biggest thing you notice when you come from World Superbikes. Cal has to understand that he needs to completely change his approach to riding because a MotoGP machine requires a very different style. 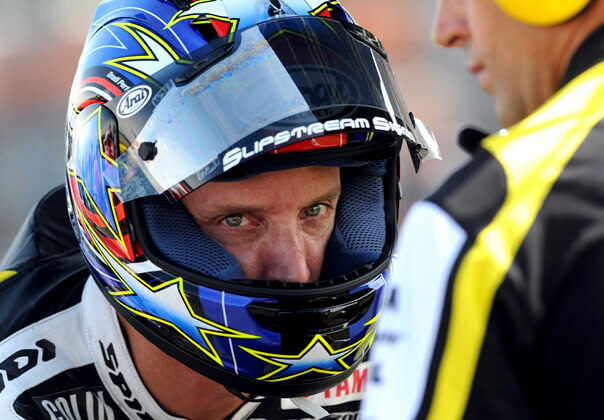 He has to take things step-by-step and not be too disheartened if he sees himself at the bottom of the time sheets. It is a long season ahead and it is a learning year for him, so I will do all I can to help him out. I see this as a big part of my job now but I am still hungry for results myself. In return Ben is helping me out with my other big project - the Texas Tornado Boot Camp, my new playground for grown ups! If you haven't seen it yet you need to check out the website: www.texastornadobootcamp.com. It opens in the new year and we have everything you can dream of there - including race prepped Yamaha TTR 110, 125 & 230 bikes for dirt-tracking with an undercover oval just in case it rains. We've even have floodlights so we can ride at night! We've got paintball, a rifle range, a lake for wake surfing and wake boarding, go-kart and RC car racing and?a swimming pool in case you need to relax after all that fun! We provide all the riding gear and safety equipment, we have got lodging from bunk beds to VIP suites and you even get a DVD at the end of it. Best of all you get to hang out and have a couple of beers with me! All you got to do is turn up. That is going to keep me pretty busy over the winter but I am also looking forward to testing at Sepang and continuing the good work we started at Valencia earlier this week. It was a really good test and we got through a lot of work, despite losing quite a bit of track time on Tuesday morning. It took me a while just to tune my brain back into MotoGP mode after the Moto2 test but once I'd done that, it was a positive afternoon. We only had half a day on track on day one but already I could tell Yamaha had done a really good job with the bike. The engine felt smoother than last season's and I really like the new chassis. All year I've been struggling with turning performance but with the new chassis we have improved a lot in that area and I can get into the corner easier and with a lot more confidence. I also did a fair amount of work for Bridgestone and they've been working hard too. I tried a couple of things that are really interesting for next year, so it was a productive start to 2011. I feel pretty tired now after six days of riding and a long flight home but we have gained a lot of good information about next year's bike and we can look forward to next year with a lot of optimism. I want to thank my Monster Yamaha Tech 3 crew for their fantastic effort and support again this year. I'm now looking forward to the winter break, spending a bit of time relaxing before training hard and getting ready for 2011 when we get back on the bike at Sepang in early February. Hopefully I'll see you before then though - book your place at the Texas Tornado Boot Camp now! Peace.